In case the eruption of the Eyjafjallajokull volcano had you worried about the fate of Iceland-based EVE Online developer CCP, worry not: It hasn't been buried in volcanic ash or lava just yet. In case you hadn't heard, there was a big volcanic eruption last week over in Iceland. The volcanic ash has been wreaking havoc on international shipping, causing videogame release delays ... but what of the videogame developer actually located in Iceland? I speak, of course, of EVE Online maker CCP, based out of Reykjavik. As it turns out, any worries are completely unfounded, a CCP spokesperson told Eurogamer. Not only is CCP not buried under ash, but the volcanic eruption won't be impacting the game's operations at all. "There hasn't been any impact on our day-to-day operations, including the production of our next EVE Online expansion, Tyrannis," said CCP's Sveinn JÃ³hannesson Kjarval. "The servers hosting the EVE universe are located in London so they are not affected by the fire and brimstone in any way." 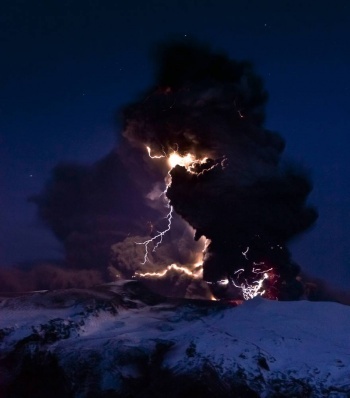 "Volcanic eruptions are a regular occurrence here in Iceland," continued JÃ³hannesson Kjarval. "and as such we have been wise enough to locate our major settlements mostly out of harm's way. "Also, due to the fact that the high winds mostly always blow to the east, we here in ReykjavÃ­k are ironically far less affected by the fallout of ash than the rest of northern Europe (sorry about that, Northern Europe!)" The worst trouble that the developer had suffered, he said, was having to reroute employees' flight routes on business trips. Tyrannis, which lets EVE players colonize planets, is still slated to hit in mid-late May.